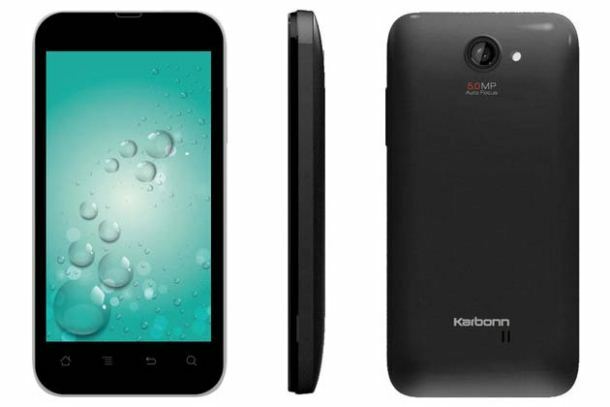 Coming with a very impressive build quality, the Karbonn A9+ has a 3.8 inches display and a generally robust construction. On the back of its cover, you can see the 5 MP camera, the LED light and the loud speaker one next to the other. Being positively reviewed by most customers, this is a strong smartphone that hardly ever has any issues. However, if owning this device, you started experiencing software problems, you may need to hard reset the Karbonn A9+ to factory settings. Before going to the repair shop to get your cellphone fixed, it is best to perform a master reset on your device. This can be done at home, doesn’t take much time and won’t cost you any money. By bringing all settings back to original and the software back to factory, this procedure will get you rid of all infected files and possible viruses. In doing so, it will also erase all user files and data stored on the internal memory, so please make your backup before you proceed. Powered by Google’s Android version 2.3 OS, the smartphone allows you to choose from a wide variety of apps to download from the Android market. The 1 GHz processor, its 1 GB inbuilt memory, as well as the 512 MB of RAM are just of few of the many impressive characteristics typical to the Kabon A9 Plus. The internal memory is also expanded up to a maximum of 32 GB thanks to the microSD card slot. In terms of connectivity options, you’ll be able to use the 3G data option, as well as the A-GPS, its Wi-Fi 802 hotspot and Bluetooth. The general internet speed reaches 7.2/0.384 Mbps in HSPA, and you can add up to your entertainment options thanks to the Radio FM, two cameras out of which the secondary one is a 1.3 MP camera, as well as the many apps that are already installed on the device. Depending on the kind of issues you’re dealing with, you could restore the Karbon device back to a functional state by using a more aggressive procedure or something a little softer. First and foremost, we’d like to show you how to do a soft reset on the smartphone. While the phone is on, press and hold the Power key. Wait for a few seconds, and then release when the display turns black. The phone has now shut down, so take the battery out of its slot. Wait for a minute or two, and then place this one back in. Press Power to turn the phone on and wait. When the Kabonn A9 Plus is on again, you should use it the same as before and check if everything is fine. In case this didn’t work or you weren’t able to go through with the procedure because of some reason, you can use the second option. Turn the device off and fully charge it. Remove the cables and press Volume Up + Power. Hold both keys and wait for the Reboot Menu to appear. Use Volume +/- to choose Wipe Data and tap Power to confirm. Select Yes in a similar way and confirm it with the Power key. Read all warnings and press Reboot Device Now to begin.